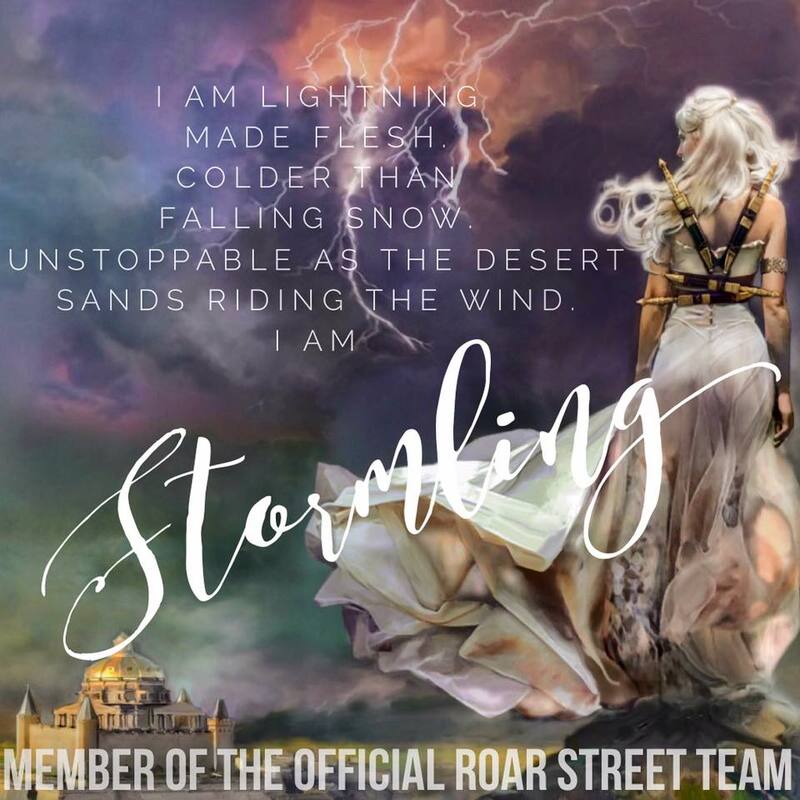 REIGN THE EARTH was one of our favorite reads or 2018 and we couldn't wait to read IMPRISON THE SKY. If you love books about elemental magic, fierce female characters, and a world that will entrance you, look no further! 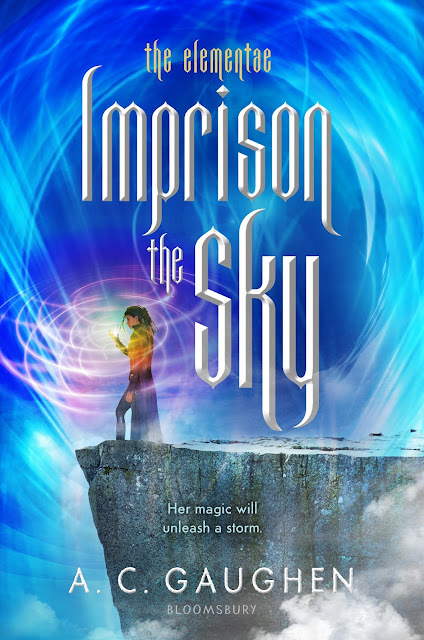 IMPRISON THE SKY is a companion novel and continuation of the story that started in REIGN THE EARTH by AC Gaugen. Each book in The Elementae series is told through a different strong female voice, which I was cautious of at first. We met the narrator for Imprison the Sky, briefly, about half way though the first book. I really enjoyed Aspasia's character in just that short interaction and was thrilled to hear that her voice would be telling the next part of this story. While reading you meet a cast of new, unique and fun characters, as well as getting to see a few familiar faces. "The easiest way to break people is to splinter them away from the people who make them strong." Life hasn't treated her well, but at her core Aspasia is an optimist and a dreamer, in desperate search of a connection she's lost. Separated from her family and forced into a precarious alliance with a ruthless slaver, Asp fights against Cyrus's wishes and works to free who she can from enslavement. In the process, Asp creates her own family with the crew of her ship. Now she must protect her heart and those people closest to her. 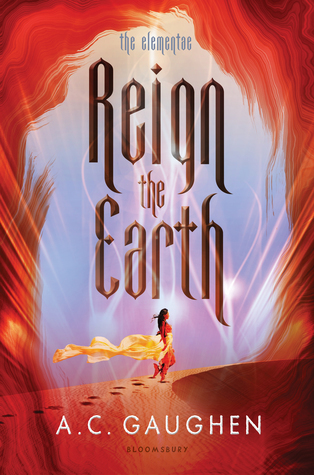 "You're people are your heart"
Reign the Earth was one of my favorite reads in 2018 and to say I was excited to read the sequel would have been an understatement. As with most series, you always worry that the rest of the books won't live up to that initial hype. IMPRISON THE SKY did not let me down. Slow burn romance lovers rejoice, because there's definitely more swoon worthy moments in this one! With a bisexual main character and a melting pot of different cultures, AC Gaughen does a great job of representing both LGBTQ and race in this story. The way that Gaughen connects the two storylines is superb. I liked how we really got to dive deeper into the Elementae powers and discover more of the depth and potential they hold. Overall, this was a fantastic follow up and I cannot wait to see what's in store for the rest of the series. If you love stories about elemental magic, fierce heroines, and a world that will entrance you, then look no further! A.C. Gaughen is also the author of Scarlet, Lady Thief, and Lion Heart. She serves on the board of directors for the non-profit Boston GLOW to make sure young women have the support they need to become powerful leaders in their communities. She has a Masters in Creative Writing from St. Andrews University in Scotland and a Masters in Education from Harvard University. Visit her online at www.acgaughen.com and @acgaughen.